Babongile Zulu spoke to Power FM about the new Picador Africa Classics series, which celebrates 10 years of publishing local and African literature in South Africa as well as honouring Phaswane Mpe in the 10th anniversary of his passing. The 13 titles selected to be released as ebooks are time-honoured African works that are not readily available in print or in digital form. Zulu, assistant editor of Picador Africa Classics, spoke about the motivation for the project and the specific titles that were selected, which include Mpe’s Welcome to Our Hillbrow and The Brooding Clouds. This year, Picador Africa, an imprint of Pan Macmillan SA, celebrates 10 years of publishing local and African literature in South Africa. In celebration of this milestone and in honouring Phaswane Mpe in the 10th anniversary of his passing, we will be publishing 13 time-honored titles as ebooks this year. Picador Africa Classics aims to build a catalogue of exceptional titles that may be out of print or lack presence in digital form. It builds on the historical concept of something like the African Writers Series as well as a publisher such as Ravan Press, which showcased works of excellence by African writers. 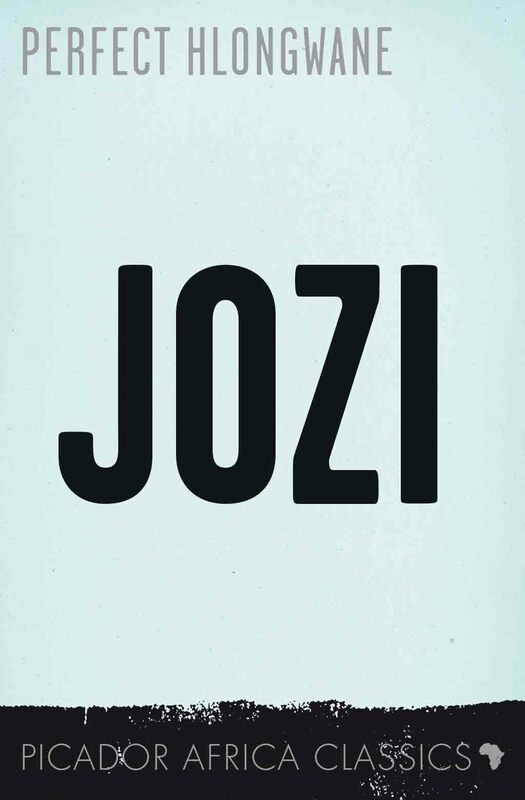 The focus of the series is initially on South African fiction titles but adding specific ‘classic’ works of non-fiction is a future possibility. This important digital archive also serves to highlight great work that receives little or no attention. 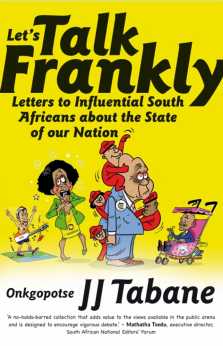 We are honoured to have Mpe’s work feature in this selection of great South African writing. 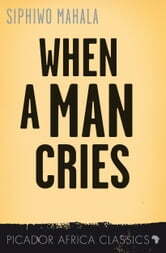 When a Man Cries is an uncompromising and engrossing novel from Siphiwo Mahala about the challenges of manhood in contemporary South Africa. It interrogates the dynamics of township life and the human and socioeconomic realities of the most impoverished communities in post-apartheid South Africa. Walter Hambile Kondile is the typical ‘good native’ of his generation, poorly educated and subservient, brought up to know his place and believe that ‘it was God’s design for the white man to rule over me’. 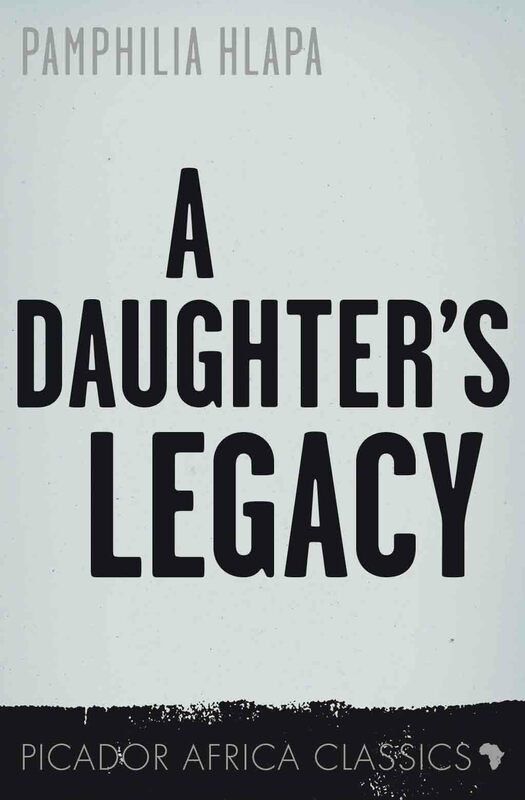 Then Kondile’s beloved daughter, Sindiswa, a young struggle activist, goes missing in exile. Kondile’s search leads him to Lesotho and grim discoveries of betrayal that shatter forever his own ‘complicity of silence’, committing him to an irrevocable path of no return. 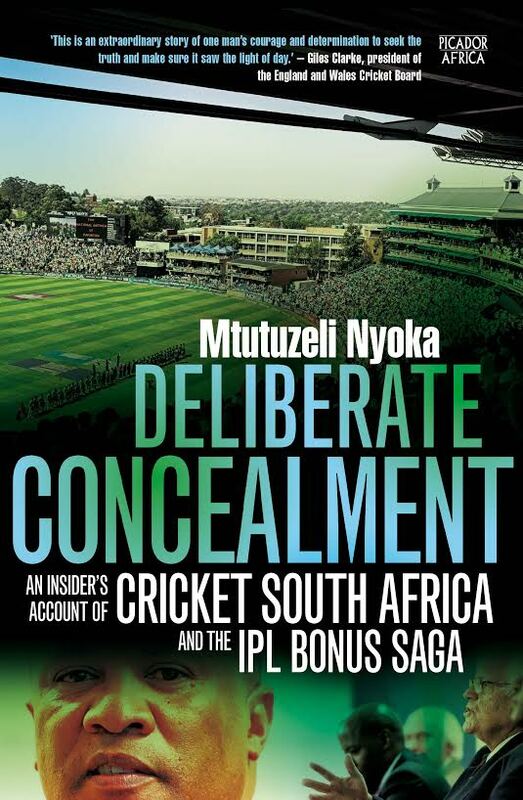 This is a compelling and beautifully written novel by Mtutuzeli Nyoka, a powerful storyteller who shares history as he sees it. 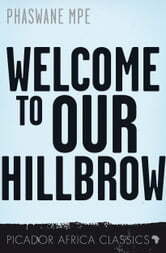 Welcome to Our Hillbrow is an exhilarating and disturbing ride through the chaotic and hyperreal zone of Hillbrow – microcosm of all that is contradictory, alluring and painful in the South African psyche. Through his protagonist, the trumpet-playing philosopher poet, Nthikeng Mohlele weaves his unique magic with words, posing powerful questions in his inimitably individualistic and evocative style. 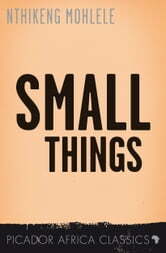 Small Things is the story of a dreamer, an average man, singled out by fate for an uncertain life. Jailed for 18 years under apartheid for unspecified sins, he emerges into a world that has no place for him. His fluctuating fortunes land him on the unpredictable, bitter-winter streets of Johannesburg, where ‘harmlessness’ is an ‘unfortunate trait’ but the tempestuous skylines offer space to breathe. 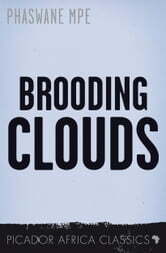 The Brooding Clouds is a posthumous collection of short stories and poems that were written as a prequel to Phaswane Mpe’s acclaimed bestseller, Welcome to Our Hillbrow. The controversial topic of botched traditional circumcision is a steady constant in the South African news and the focus of much debate. This powerful first novel recounts the personal trauma of a young Xhosa initiate after one such circumcision gone wrong. 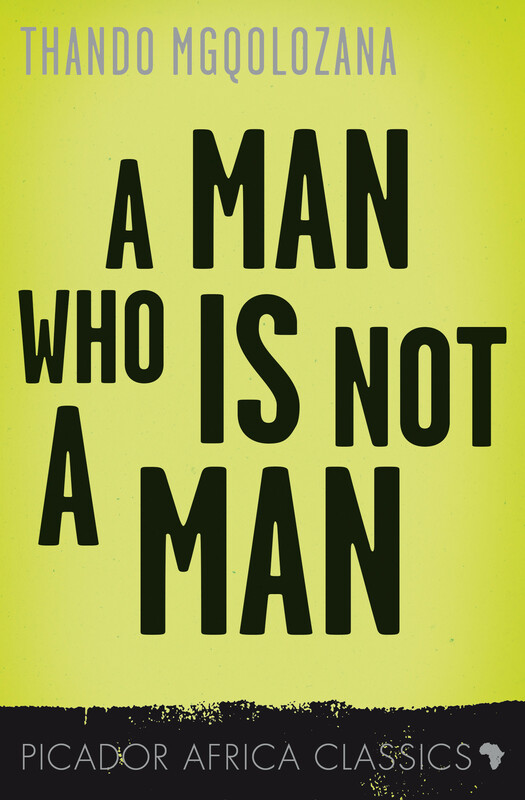 With frankness and courage Thando Mgqolozana details the pain and life-long shame that is experienced as a result of not only the physical trauma, but the social ostracism of being labelled ‘a failed man’. This absorbing novel by debut author Perfect Hlongwane offers a biting portrait of inner-city Jo’burg, ‘a place where dreams come to die’. modern worlds of university and working life. connivance in a way that is seldom done. 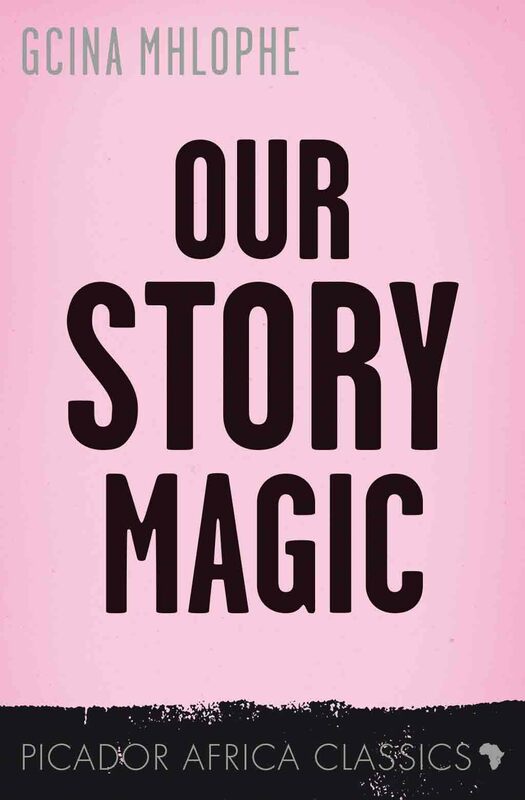 Our Story Magic is a collection of enchanting and compelling tales written by Gcina Mhlophe, South Africa’s most popular performance storyteller. 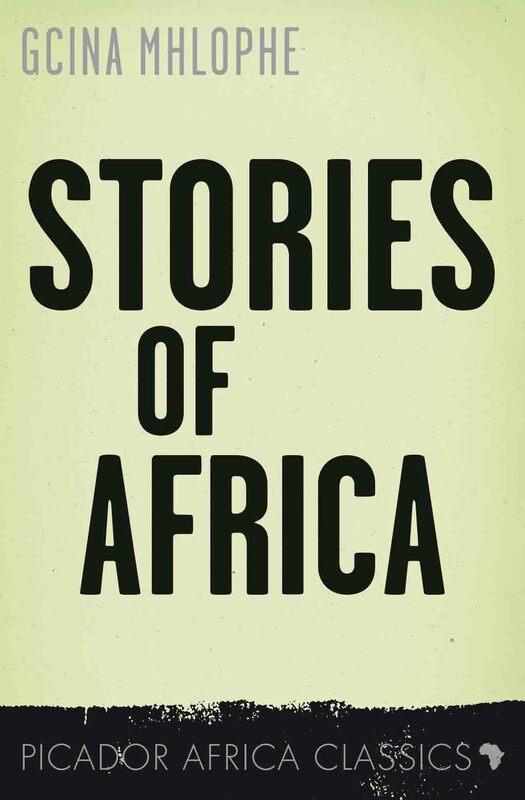 Stories of Africa is a folklore story collection that offers a feast of enjoyment for young South African readers, with 10 enchanting tales, steeped in the imaginative richness of African oral tradition. KwaZulu-Natal artistic talent, Stories of Africa is a classic to delight readers of all ages and cultures. 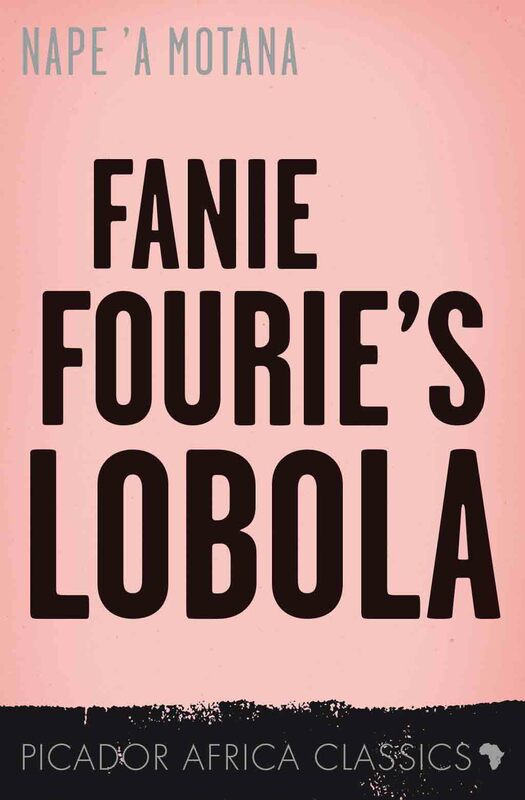 Fanie Fourie’s Lobola is filled with naughty humour and ironic reversals of stereotype. With a deft and humorous pen, Nape ’a Motana evokes the colliding worlds of traditional and contemporary culture in a South Africa still struggling to renegotiate roles and relationships and shake off the complexes and prejudices of the past. This novel was turned into an acclaimed comedic film. It demonstrates how far we have come in that we can now write with piercing humour about what used to be life-and-death issues – specifically ‘love across the colour bar’. Dion Chang’s New Urban Tribes of South Africa shows how trends analysis is a useful tool in determining how consumers push the marketing agenda, or aspire to acquire certain goods and services. Bruce Dennill of The Citizen observed Dion Chang’s analysis, and asked him a few questions about how to spot trends and tribes, and which “boxes” to tick. New Urban Tribes of South Africa is available as an eBook from Pan Macmillan. Dion Chang’s new e-book New Urban Tribes is, not at all sur-prisingly, inspiring some strong reactions from observers. “The biggest reaction I get,” grins Chang, “is from people who can’t find themselves on the list. Diamond Chips: brand-conscious kids of the original Black Diamonds. Years on from the birth of the Rainbow Nation, South Africans can no longer simply be categorised as black, white, coloured or Indian. Old stereotypes have been replaced by a new cast of colourful characters that approach life, love and brands from very different perspectives. Influenced by both global cosmopolitan culture and traditional belief systems, contemporary South Africans are complex, three-dimensional people that cannot be accurately described by traditional demographic segmentation models. This presents a challenge to brands: who are they selling to, and what do their prospects want? New Urban Tribes of South Africa identifies and brings to life in vivid detail twelve distinct new urban tribes contributing to South Africa’s economy. How brands and marketers can connect with each of the new tribes on a deep, meaningful level. New Urban Tribes of South Africa will be available as an eBook only, through Amazon.com, Exclus1ves.co.za and Kalahari.com. Dion Chang is an innovator, creative thinker and visionary. He is a sought-after trend analyst, and while his feet remain firmly planted on African soil, he uses a global perspective to source new ideas, gauge the zeitgeist and identify cutting edge trends. 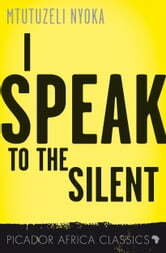 He is the author of The State We’re In: The 2010 Flux Trend Review, published by Pan Macmillan South Africa in 2010.